If they are fortunate enough to end up into the hands of Truckee metalsmith Jessica Hall, they will be worked with love and devotion as she resurrects them into a stunning piece of hand-crafted jewelry. 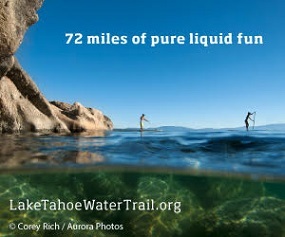 Meet Jessica at Truckee Thursdays June 16, 2011. “It’s not only important for me to use recycled and re-claimed materials in my jewelry,” says Jessica, “but it challenges me to take something that was previous discarded or already existing and turn in into a piece of wearable art.” Jessica recently opened her studio, Bluebird Designs, at 10059 Palisades Dr #3 in Truckee with regular store hours for eco-friendly quick gifts, custom jewelry consultations, and jewelry repair. 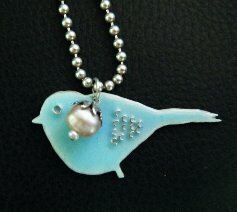 You can see her intricate pieces and cute birdie designs at her booth at Truckee Thursdays on 6/16, 6/23, 6/30, and 7/7. Or visit her during ARTour to see some of her custom pieces and get a glimpse of her workstation July 8-10 and 15-17 from 10am-5pm. Located in Truckee just a 1/4 mile from historic downtown, Bluebird Designs offers a wide variety of Jessica’s earrings, bracelets, necklaces, and rings. Jessica offers her pieces in a variety of recycled and precious metals and selects fair-trade gemstones. Bluebird Designs offers something for everyone, including custom wedding rings to graduation gifts, to everyday earrings and her signature enameled bluebird necklace. This allows Jessica to work a little in each direction each day. “I love the variety of my work right now. I can start the day on a diamond wedding band, and finish it with a whimsical enameled pendant that I just fired in my kiln.” Her wedding rings take her longer to create with a recommended 2 month timeline, while her small earrings and necklaces may take only a few hours to days. 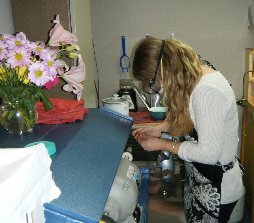 Additionally, Jessica offers jewelry repair and cleaning through Bluebird Designs. Located next door to Blue Coyote at 10059 Palisades Dr #3 in Truckee, Jessica is offering a free jewelry cleaning per new visitor. Her studio hours are Wednesday through Sunday 11 to 6 or by appointment by calling 775-338-3880 or emailing her at jessica@bluebirddesigns.com.